At the NEOTD - Cleveland Tech Conference on April 11th, 2019, attendees will learn about the current state of trending technologies and what the future holds for them. Attendees will get to participate in interactive panel discussions - plus, see the latest tech products on display and IT services showcased in the exhibitor area. Business and school decision makers will learn how they can integrate these solutions into their organization's tech landscape. 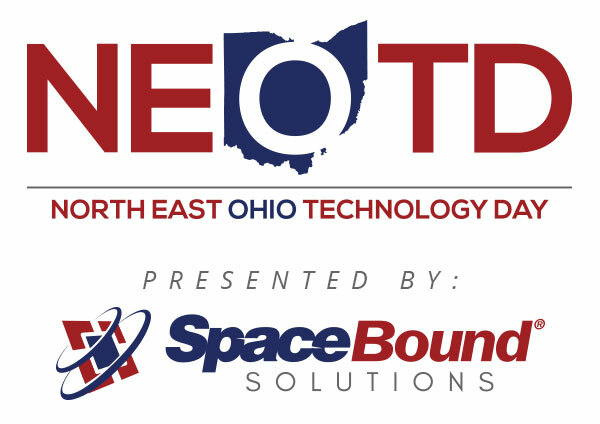 Cleveland, OH, January 02, 2019 --(PR.com)-- SpaceBound Solutions presents the 2019 NEOTD Tech Conference at Lorain County Community College on April 11, 2019. At the NEOTD tech conference, attendees will learn about the current state of trending technologies and what the future holds for them. Attendees will get to participate in interactive panel discussions - plus, see the latest tech products on display and IT services showcased in the exhibitor area. Businesses and school decision makers will learn how they can integrate these solutions into their organization's tech landscape. On April 19th, 2018, SpaceBound Solutions proudly presented the 2018 NEOTD Tech Symposium at the Lorain County Community College Spitzer Center. The annual event invited Businesses, Government Agencies and Schools to take part in a day full of breakout sessions, vendor meet-and-greets and live demonstrations from the tech industry’s top professionals. The event was held from 1-5pm and featured presentations on topics like Cyber Security, Networking, Project Based Learning and STEM. The final presentation of the day showcased a Tech Panel featuring 5 Tech and Security experts, including Dan Faltisco, a 10+ year Cyber Security Veteran. The panel answered tech questions submitted by attendees of the event. In between presentations, attendees were given the opportunity to meet face-to-face with vendors to learn more about today’s top technology products, services and solutions that can help them improve their organization’s tech landscape. To view video presentations of the event, photos and much more, check out the NEOTD 2018 Recap page by clicking here. To contact a representative, or for more information about the products, services or solutions featured at the symposium, visit www.SpaceBoundSolutions.com.